The scenery along the majestic Ottawa River just east of Ottawa is unparalleled. The sparkling water is dotted with islands, fishing and pleasure boat, and swooping water birds. The shoreline sports magnificent homes and mature forests. It is easy to see why the early explorers were thrilled to arrive at such opulent locations to bring settlers from Europe and south of the border. The oldest settlement on the Ottawa River between Ottawa and Montreal saw the first settlers arrive in 1801. Abijah Dunning came from Massachusetts to settle in the area and acquired land holdings of 3,000 acres (1,215 hectares). Gabriel Foubert had already opened a trading post in 1799, and his son, Amable, married into the Dunning family. The majority of the settlers were Presbyterians who arrived after 1817 from Scotland and Northern Ireland. Numerous steamers forwarded goods and mail along the river and stopped daily to pick up passengers, freight and lumber. Named Cumberland in 1799, the village then became known as Foubertville and Osborne. The post office was established in 1844 and, in 1864, postmaster George G. Dunning renamed the community Cumberland after the township which honoured the fifth son of George III, Prince Ernest Augustus, Duke of Cumberland. Today, Cumberland is mainly a quiet, tree-shaded, residential community with a number of historic buildings. The beautiful old stone building with the white balconies and trim at 2607 Montreal Road was built in 1883 by William Nelson Dunning. The house in Cumberland was known as ‘the doctor’s house’ from 1898 when it was taken over by Dr. James Ferguson and his wife, Susanna. The house also served as Dr. James Ferguson’s office; and, later, home to the family during World War I. 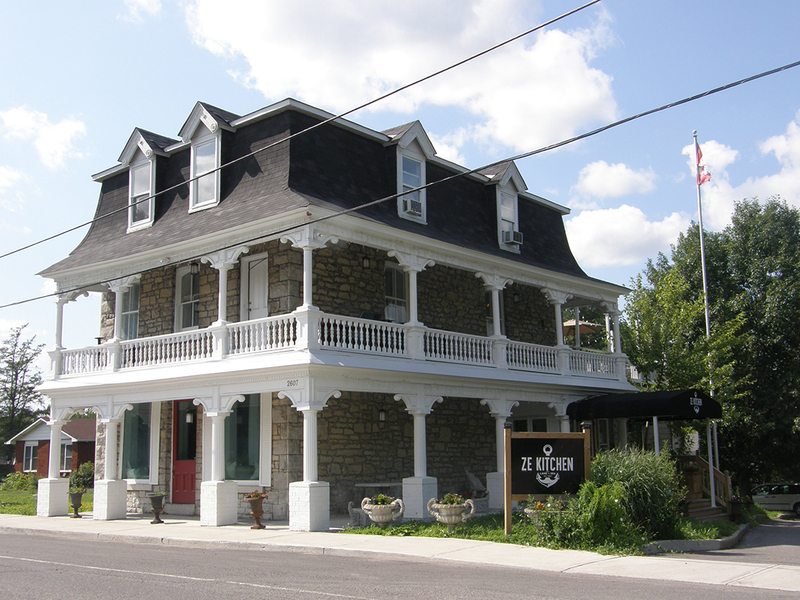 The house was sold out of the family in 1978 and the once-more renovated house is now the Ze Kitchen Gastropub (613 833-3000) offering creative menu selections from traditional dishes to favourites from around the world. The names of early settlers are still very much in evidence in the historical places in the village. The Wilson brothers built the store at 2565 Montreal Road in 1895 and is now an exquisite art gallery, Da Artisti (613 833-2565). The Hattie Dunning House at 2561 Montreal Road was built in 1805 by W. W. Dunning and served as a butcher shop. The Dunning House at 2545 Montreal Road was also built by W. W. Dunning for his widowed sister. John Watson operated the first Esso Garage in Eastern Ontario, which has now been moved to the Cumberland Museum. The Honourable Carine Wilson, a resident of Cumberland, as the first female senator in Canada, contributed greatly in many capacities until her death in 1962. A stellar attraction just east of the Village is the Cumberland Heritage Village Museum (613 833-3059), 2940 Old Montreal Road. Located on 100 acres, the museum features 28 ‘living’ history buildings, including an operating sawmill, a one-room school house, farmsteads, a train station which serves also as the entry and information building, a church, a store and more. 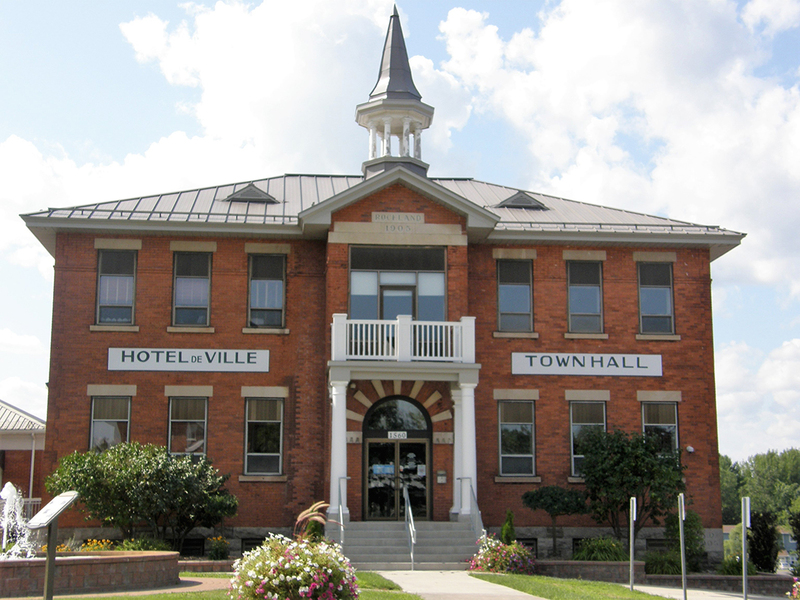 The museum is inhabited from 10 a.m. to five p.m. from Wednesday to Sunday from mid-May to the end of October by costumed interpreters who recreate life during the 1930s in a rural Ottawa village. The buildings have been moved from their original locations to the museum site. Events are centred around the village activities, including gardening, handicrafts, cloth-making, animals, etc. Special guests are invited for special occasions. The museum opens at Christmastime for special programs, such as sleigh rides and other events in a village full of lights and merriment. The Cumberland Museum is the perfect summer setting for the outdoor productions of the Vintage Stock Theatre (vintagestock.on.ca). The group is dedicated to promoting heritage conservation and preservation through community theatre. Founded in 1995 as Friends of Cumberland Museum, the organization’s goal was to raise money for the museum and to support the museum’s small staff with programming and various events. When the museum was privatized by the Cumberland Council in 1997, it was decided that their goal would be to establish a permanent heritage theatre for the City of Ottawa. The Vintage Stock has mounted a number of original, fact-based productions celebrating the unique contributions of our ancestors. The group outreaches to the community by the production of murder mysteries. The Cumberland Farmers’ Market (613 282-6527) takes over the grounds around the Cumberland Arena at 1115 Dunning Road from mid-June to Thanksgiving on Saturdays from eight a.m. to one p.m. The Black Walnut Bakery (613 884-6976), 979 Cameron Street, has an amazing selection of exquisite baked goods, both sweet and savoury, and offers a relaxing atmosphere to sample the goods. Romantic cutter rides or sleigh rides along seven kilometres of bush from Christmas to March (or when the snow is deep enough) are offered by Beckett’s Creek Farm (613 833-2973), 3521 Old Montreal Road. Horse and carriage are available for weddings and catering can be arranged for parties. Originally settled as a lumber town in the early part of the19th Century, the first known residents in the area were the Edwards family. John Edwards was a Baptist minister and established a meeting house in Clarence in 1822. However, the honour of the founding of the village is given to William Cameron Edwards who established two sawmills, the first in 1868. William Edwards became the postmaster in 1867 and is reputed to have called the community Rockland as a name which described the surrounding area. The sawmills were sold to the International Pulp and Paper Co. in 1920 and moved to Gatineau, along with half of the population of the community. The Clarence Rockland Museum (613 4467319/613 4465086) is located in the former SteFamille School at 687 Laurier Street. The nine rooms house more than 5,000 pictures, documents, newspapers, ancient books, 78 rpm records, military bravery medals, ancient tools and utensils, clothes, plaques, trophies and artifacts. Rockland is home to a number of very interesting businesses. Bridal wear and accessories are sold at Cynderella’s Bridal Boutik (613 446-0022), 883 St. Jacques Street. The Circle R Saddlery (613 446-4688), 1265 Caron Street, is a Western shop and makes custom saddlery items. Pop Shoes (613 4462624), 92756 Chamberland Street, has shoes for the whole family plus bags and accessories. Hitices Clothing and Accessories (613 4464554), 2848 Laurier St, offers a wonderful selection of men’s and women’s clothing. Creation Roxanne (613 4466852), 8240 County Road 17, is a full-service florist. Giant Tiger (613 4464369), 1657 Laurier Street has a wide selection of goods. And Top Mode Depot (613 4464447), 2747 Chamberland Street, which is a 20,000 foot department store. Rockland Sports (613 4469559), 2865 Laurier Street, markets sports equipment and hot tubs. Mark’s Work Wearhouse (613 446-6154), 2764 Chamberland Street, is a purveyor of men’s and women’s casual clothing, accessories and footwear. Dollarama (613 446-0778), 3000 Richelieu Street, has a little bit of everything for small prices. Pamper yourself with an overnight stay at the Riverrock Inn (613 4466710), 2808 Chamberland Street, which has a fully equipped gym and fitness area and other amenities. Shoppers can enjoy dining at a variety of eating establishments. The Friendly Restaurant (613 446-2867, 613 446-5346), 1781 Laurier Street, serves breakfast, lunch and dinner, and specializes in chicken, steak and Italian dishes. Cantonese and Szechuan Cuisine are the order of the day at Maison de Xin (613 446-5122), 1486 Laurier Street. A luncheon buffet is served Monday to Friday, and a dinner buffet is available Monday to Sunday. Pizza is available at Jumbo Pizza (613 446-1291), 2609 Laurier. A variety of menu items is offered at Gabriel Pizza (613 319-7777), 2756 Chamberland Street. Rockland Pizza (613 446-1056), 2294 Laurier, serves Canadian, Italian and Lebanese food. Dunn’s Famous (613 446-5430), 2370 Laurier Street, serves mouth-watering smoked meat. Rosalynn’s Bistro and Catering (613 446-0906), 928 Laporte Street, is Rockland’s authentic Italian restaurant. Spartas (613 446-2626), 2737 Laurier Street, is a Mediterranean restaurant. Shawarma and Grill Rockland (613 446-3535), 1748 Laurier Street, serves Lebanese food, as does Shawarma Café Deslauriers (613 446-0533), 1905 Laurier Street. Café La Roche (613 446-6367), 655 Laurier Street, has a Canadian menu. St. Hubert-Express (613 446-6333), 9071 County Road 17, is a family restaurant. New Ruby House (613 446-2838), 1781 Laurier Street, is a Chinese buffet restaurant specializing in Cantonese, Szechuan and Thai dishes. The Broadway Bar and Grill (613 446-9000), 6-2756 Chamberland Street, offers late-night food in a cozy atmosphere. Boston Pizza (613 446-7772), 3002 Richelieu Street, serves a variety of menu items. Enjoy a hot or cold cup at Café Joyeux (The Joyful Coffee Company) (613 517-0137), 1600 Laurier Street, and bring home a delicious bag of freshly-roasted coffee beans. A&W (613 446-2410), 2736 Chamberland Street. There are many places to visit in this region and this article does not attempt to include all of them, but instead, has left many exciting attractions for the visitor to discover. It is meant to give potential visitors a glimpse into the community. Many people you will meet will share the history and information about the attractions and events so that you can continue to explore. 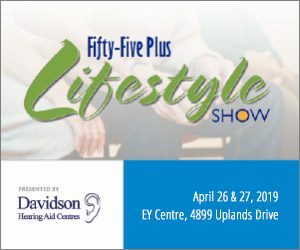 Information is available from the Clarence-Rockland Chamber of Commerce (613 761-1954), 2452 Laurier Street, Rockland, or the Cumberland Heritage Village Museum (613 833-3059), 2940 Old Montreal Road.